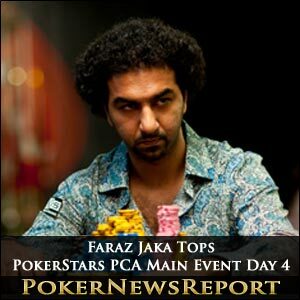 American pro Faraz Jaka returned to the top of the leaderboard after a thrilling Day 4 of the $10,000 buy-in main event at the PokerStars Caribbean Adventure (PCA) was completed. San Jose’s Jaka had started the fourth day’s play in third place from 64 survivors on 1,220,000, but more than tripled his chip stack to see out the short session on 4,114,000. Jaka, who also chip leader after Day 2, is the only player to pass the three million mark, never mind the fact that he has topped that by more than one million. 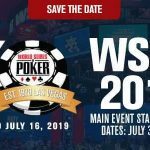 That keeps Jaka – who has 11 World Series of Poker (WSOP) cashes to his name – more than 1.4 million ahead of second placed American Alex Fitzgerald, who ended the day on 2,709,000 chips. Jaka – who picked up $13,760 for finishing sixth in last month’s $5,000 buy-in No-Limit Hold’em event at the 2011 Doyle Brunson Five Diamond World Poker Classic in Las Vegas – must surely be favourite to land the $2 million top prize after building up such a huge lead. However, he’ll still have to overcome the likes of Day 3 leader Phil D’Auteuil – who started out with 1,472,000 – even though the Quebec native dropped back to third after only increasing his stack by 808,000 to now sit on 2,280,000. Americans fill places four and five, with Maryland’s Anthony Gregg (2,142,000) followed by Byron Kaverman (2,136,000), of Ohio. Toronto’s Sam Greenwood is the second Canadian in the top 10 in sixth on 2,109,000 chips, while States duo Kyle Julius (1,818,000), of Illinois, and New York State’s Lee Goldman (1,760,000) fill places seven and eight respectively. London-based Swede Martin Jacobson (1,627,000) and Russian Maksim Semisoshenko (1,446,000) – who has set up home in Florida – complete the top 10 after Day 4 at Paradise Island’s Atlantis Resort and Casino. Incredibly, just two more players – John Dibella (1,406,000) and Mark Drover (1,383,000) – have stacks above the chip average of 1,340,000 as 24 entries get ready to return for Day 5 of the main event that attracted a starting field of 1,072. Chip leader Jaka enjoyed a fantastic Day 4, eliminating several players – including Team PokerStars Pro Barry Greenstein (25th for $46,000), Eddy Sabat (40th for $41,000) and Sam Chartier (42nd for $37,500), as well as Lawrence Greenberg, who had finished 121st at last year’s PCA main event for $20,000. A crucial hand for Jaka arrived when he played a pot with Swedish star Jacobson that took the American above three million in chips. Jaka fired in 500,000 chips to a pot that was already sitting at 300,000 on a board that read A♥ 3♣ 2♥ Q♠ 4♥. Jacobson seemed to take an age to come to a decision, but did eventually call. Jaka – whose biggest payday so far arrived back in July 2009 with second place to Brazil’s Alexandre Gomes in the $15,000 buy-in No-Limit Hold’em Championship Event from the Bellagio Cup V in Vegas for $774,780 – showed J♥ 9♥ for an ace-high flush, resulting in a frustrated Jacobson mucking his hand. The American was involved in several massive hands – and another notable one came when he faced off and ultimately eliminated Greenberg, of Massachusetts. All their money was in the middle on a board of 10♣ 5♠ 3♦ 5♥ with just the river to come. Greenberg revealed Ad-10d for two pair, while Jaka showed 4♥ 2♥ for an open-ended straight draw. Of course, the 6♦ arrived on the river to give Jaka a straight and send Greenberg to the rail in 30th place for $46,000. Three-time WSOOP bracelet winner Greenstein was the final Team PokerStars Pro still in the tournament before being ousted by Jaka. Action had folded to the 57-year-old from Chicago, but, although in the small blind, he moved all-in for about 230,000. Big blind Jaka called to show A♦ 3♠, while Greenstein held 10♠ 7♠. The flop showed Q♥ 8♠ 7♣ to give Greenstein a pair of sevens and the lead. However, the A♠ on the turn had Jaka back in front, although that card did give Greenstein a spade flush draw. The 6♦ came on the river, though, and the pot went to Jaka as Day 4 wound down to a conclusion. Gregg, meanwhile, is once again looking to make a PCA final table after picking up $1.7 million for finishing as runner-up to Canada’s Poorya Nazari in the $9,700 buy-in No-Limit Hold’em main event back in 2009. Defending champion Galen Hall, meanwhile, was the first player to hit the rail on Day 4 as he finished in 64th for $32,500. The San Francisco pro was gone within a few hands of the start when going all-in with 10♥ 10♦ pre-flop against Jacobson. The American was ahead as the Swede showed K♦ Q♠, but the board of Q♣ 5♦ 5♠ 8♥ J♠ gave Jacobson the better two pair – and that was Hall finished. Sensational Spanish golf pro Sergio Garcia – who has 22 titles and over $38 million in winnings from his 12-year career on the Professional Golfers’ Association (PGA) Tour – also found the going too tough on Day 4 and was eliminated in 51st for $35,000. Garcia moved all-in against American William Luciano for 232,000 after he had initially raised to 25,000 pre-flop when the blinds were at 6,000 and 12,000 with a 1,000 ante. Garcia showed A♣ J♦, while Luciano held Q♥ Q♠ for the American pro to be ahead. 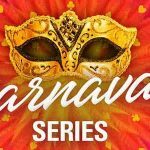 The flop showed J♣ 3♣ 2♣ to give Garcia a pair of jacks as well as a club flush draw, but the 9♠ on the turn and K♦ on the river could not improve his hand, so meaning his adventure in Paradise was over. 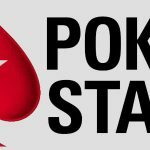 Other noteworthy exits on Day 4 included Team PokerStars Pros Luca Pagano (29th for $46,000), Arnaud Mattern (58th for $32,500) and Jan Heitmann (38th for $41,000), as well as Yevgeniy Timoshenko (52nd for $35,000), Casey Kastle (50th for $35,000), Chris Klodnicki (61st for $32,500), William Reynolds (54th for $35,000) and Erik Cajelais (43rd for $37,500). Other players still hoping to gather the big prize include the last woman in the competition, Xuan Liu (in 15th place on 1,082,000), and Dutchman Ruben Visser (20th on 461,000), although both will have a lot of work to do today to be in with a realistic chance of victory. The minimum payout today is $52,000 for 24th place, but that jumps up to $58,000 for 16th, while even 15th will take home a healthy $70,000. The 10th place finisher will leave with $101,000, while eighth place is assured of $156,400. After that, we get into the serious money as seventh wins $260,000, sixth secures $364,000, fifth takes $468,000, fourth is guaranteed $600,000, third will be awarded $755,000, and the runner-up will take possession of $1,275,000. Still, all 24 starters today will be striving to pocket that $2 million come the end of the main event.